NEW YORK, April 14. /TASS/. Russian President Vladimir Putin has been named the winner of US magazine Time 100 readers’ poll for this year’s most influential people. The Russian leader garnered 6.95% of the votes. The Dalai Lama earned 1.7% of the votes, followed by Pope Francis (1.5%) and US President Barack Obama (1.4%). Chinese President Xi Jinping, Syrian President Bashar Assad and German Chancellor Angela Merkel have not entered the top 20, getting just 0.9% of the votes. US former First Lady and ex-Secretary of State Hillary Clinton, who announced her presidential bid on Sunday, received 0.8% of the votes. Ukrainian President Pyotr Poroshenko won 0.7% of the votes. The South Korean girl-group 2NE1known as CL comes second in the ranking with 6.9% of the votes. Pop star Lady Gaga is number three with 2.6% of the votes. The Time editors’ choice for the 100 most influential people in the world, spanning politics, entertainment, business, technology, science, religion and other fields will be unveiled on April 16. It may differ from the readers’ opinion. According to Time magazine, more than 57% of the votes were cast in the United States, 5.54% in Canada and another 4.55% in the United Kingdom. Time magazine began publishing its weekly issues in 1923. The ranking of the 100 Most Influential People in the World has been published since 1999. 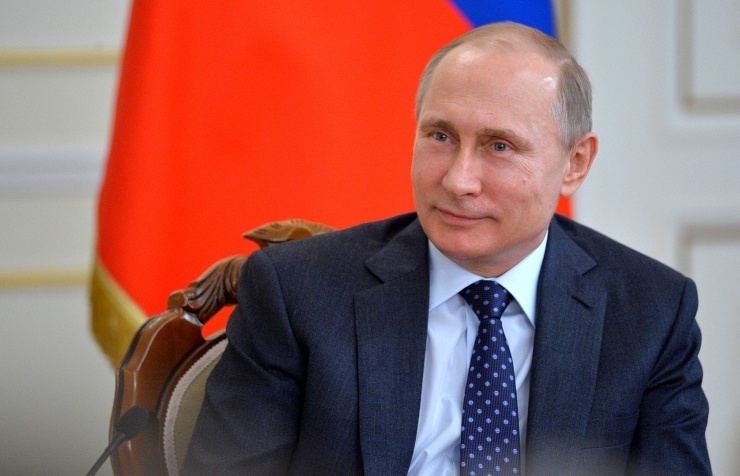 In November 2014, the Russian leader for the second time in a row topped the annual ranking of the most influential people in the world published by another US magazine, Forbes.